Dodge traffic and make sure that your little red car makes it before your opponent does, only your brainpower can beat the gridlock! 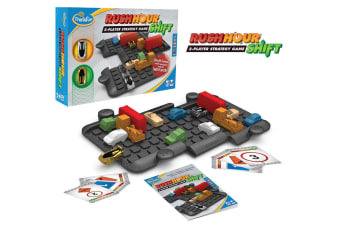 Challenge and engage your children with this super-fun sliding-block logic game. As you draw cards, you’ll need a little luck and a clever strategy to win, will you block your opponent or advance your own car? Make sure you clear a path through the ever shifting traffic grid to the finish!